The paint-by-numbers kits of childhood had a wonderful concept: by following clear and simple instructions, any child could create a well-done and coordinated color picture. Wanda Colon, the interior designer host of TLC’s Home Made Simple, took the paint-by-numbers idea and made it grow up. Knowing that many people are intimidated or just unskilled in interior design, Colon set out six steps to renovating and reenergizing the design of a home that are as easy as painting anything with a little number one blue. The foyer is the first entrance to a house, and thus the first impression that any guests will receive when they arrive and the final memory when they leave. Colon’s solution won’t break the bank at a mere $25-50, but it will have a rich impact. Invest in a console table that really makes a statement and top it with personal photos and a fragrant candle (just make sure that the scent matches the season; no cinnamon in May!). There is no need to purchase new bedding with every changing design trend. Simply replacing the throw blankets and decorative pillows will freshen up the bedroom. Bedrooms are often neglected in the design world according to Colon, but as this is the room that is the most personal, it should be the most important instead. Occasionally changing up the color of the pillows and blanket will rejuvenate a room intended for winding down, without buying a whole new bedding set. Plain lampshades are only $10 and can easily be dressed up with unique and inexpensive fabrics. Apply the fabric to the lampshade with a hot glue gun, and decorate it with beads or maybe fringe to completely customize it. A custom piece not only a one-of-a-king treasure, but it is also a statement about the personality and creativity of the person who lives there. Whether painting an entire room with a color, or following the trend of neutral walls and one colored accent wall, a hue is no longer taboo on the walls. Colon suggests picking up at least three different paint color samples and trying them out on a 3×3 ft square on the wall before committing to a gallon of paint. This way, the color can be seen at all hours of the day, which is important because light will reflect differently every hour and the best decision can be made. Stark white light is rarely flattering for a person nor a room. Match the lighting to the space based on the desired atmosphere; for example, Colon has used amber tinting lights in the dining room to create a warm and cozy glow for mealtimes. A home can be a travel journal of all the different places a family has visited. At each location, bring back something really personal or cultural. Stay away from the typical tourist fare. Decorating a room with items from around the world or around the country or even just around the state will tell a story of where the family has been and the possibilities for where it will go in the future. The agave plant has a rich history in relation to food: it is the mother of the popular alcohol tequila and recently has become the base of many natural sweeteners. But agave’s use goes beyond food, it extends to interior design. Sisal is a natural fiber extracted from the agave plant and is used to make area rugs. Its use is actually older than tequila and sweeteners, beginning back in Ancient Egypt. In the 19thcentury sisal cultivation expanded into the Caribbean, Florida, and South America as well as parts of Africa. Nowadays, Brazil is the world’s largest producer of sisal fiber and rugs. 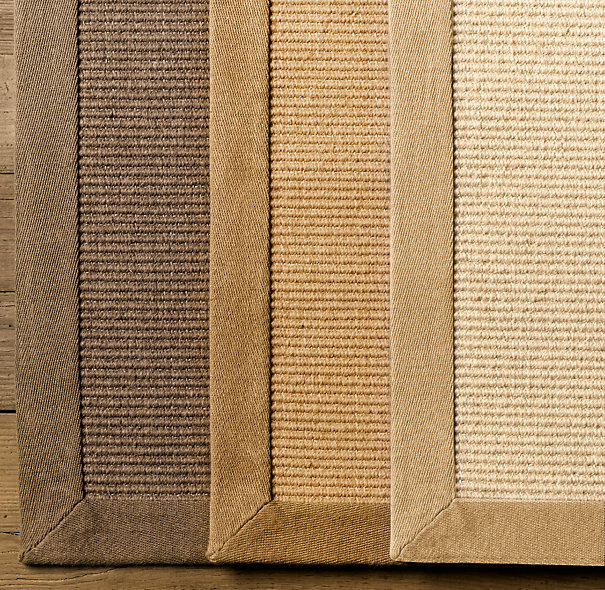 The plant fibers are very durable yet soft, making it a natural choice to weave into area rugs and broadloom. It is naturally fire-retardant, sound absorbing, and antistatic. Sisal is also a stronger fiber than flax, jute, and hemp, other materials commonly used in rugs. But its superior qualities make sisal a better and longer lasting material for rugs. Sisal has been making a comeback in popularity because of the green movement in interior design. It is considered environmentally and architecturally neutral, meaning that production of sisal products does not leave a carbon footprint on the atmosphere. Rugs made from sisal are also naturally colored because of the differences in the fibers, which reduce the need for artificial dyes. 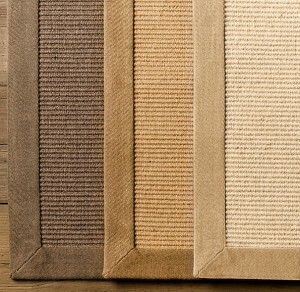 Area rugs made from sisal are an excellent design choice for an environmentally conscious client. As it has grown in popularity, it also has been dropping in price, so right now is a great time to find deals on sisal-based textiles. With its durability, environmental benefits, and design possibilities, a sisal area rugs is a solid investment for your client’s design. HOME STAGING – the #1 Career Poised for Growth by CNN – Are you going to Miss the Window of Opportunity? Are you going to miss the window of opportunity? Home Staging is a fun and rewarding career that allows you the freedom to create your own schedule, pick and choose the jobs you want to work and earn a fantastic living, being your own boss! Home Stagers arrange furniture and accessories in a creative and strategic way that sells homes 67% faster and for 10% higher offers. And according to a 2007 HomeGain study, Home Staging yields a 343% return on investment to the home owner. This means that home owners actually MAKE money every time they hire a home stager! If you have been longing to design interiors for a living, this is the perfect time to get into the industry and establish yourself as your area’s expert. While others are sitting on the fence, you will have the opportunity to build your name and client base before the competition arrives. The amazing thing about home staging is that it is the fastest growing segment of interior design and while training for interior design can take 2-4 years to complete, Home Staging Certification can be achieved in just 40 hours. If you are considering a career in Home Staging, I recommend you check out http://www.TheAcademyOfHomeStaging.com for the most in-depth and complete training system available.